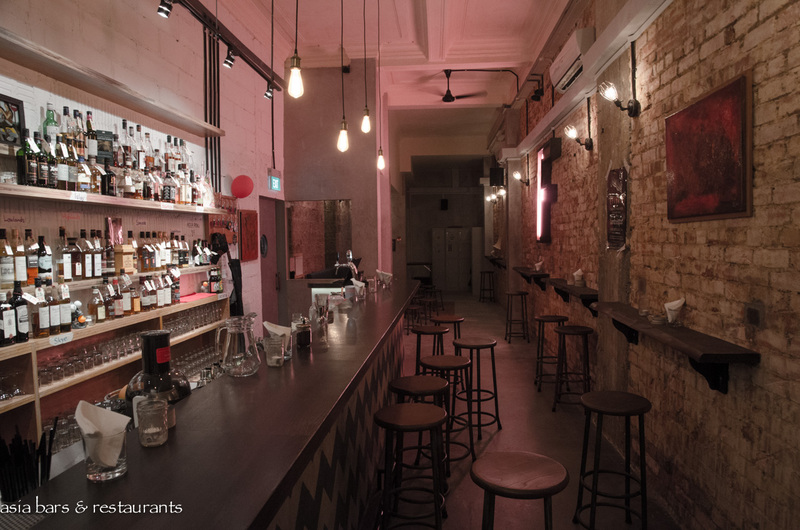 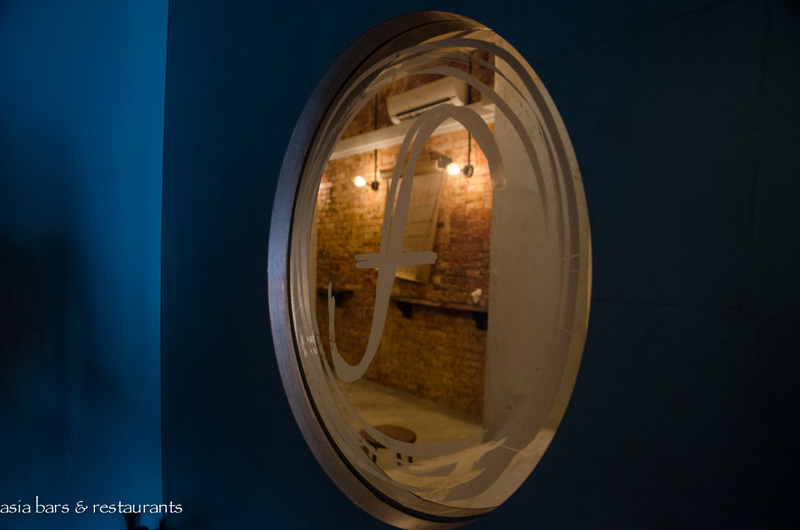 Taking inspiration from the “dive bar” aesthetic that emerged originally in the unfashionable neighbourhoods of American cities, newly opened Singapore whisky bar The Flagship features the hallmark dive bar “rough around the edges” style of decor and unpretentious service attitude. 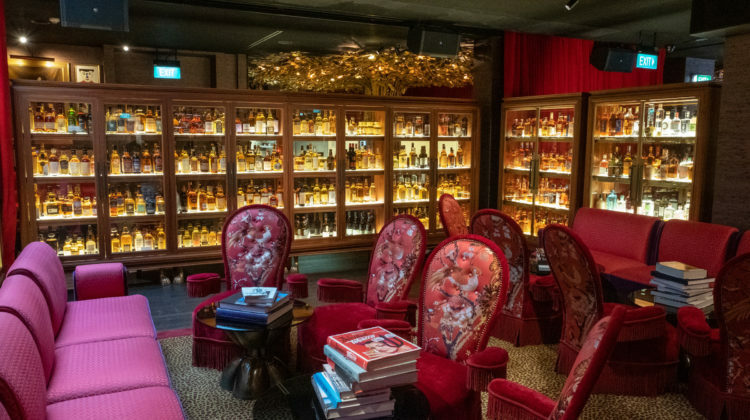 Secluded at the end of an internal passageway within a heritage shophouse, The Flagship takes a downmarket approach to the typical upscale and exclusive ethos of most whisky-centric bars, while not compromising on the quality of its whisky selections. 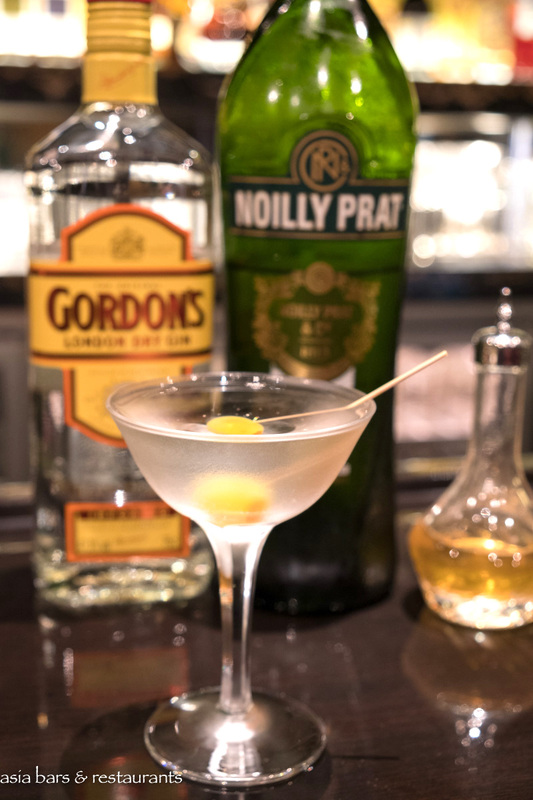 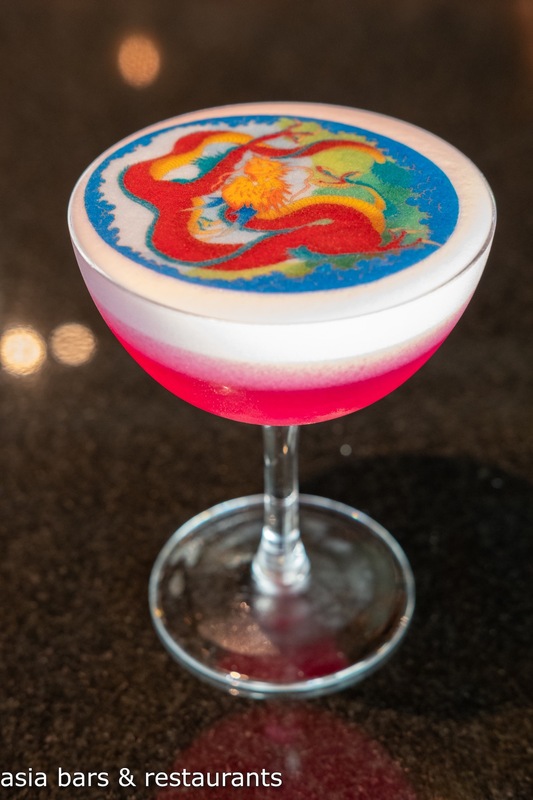 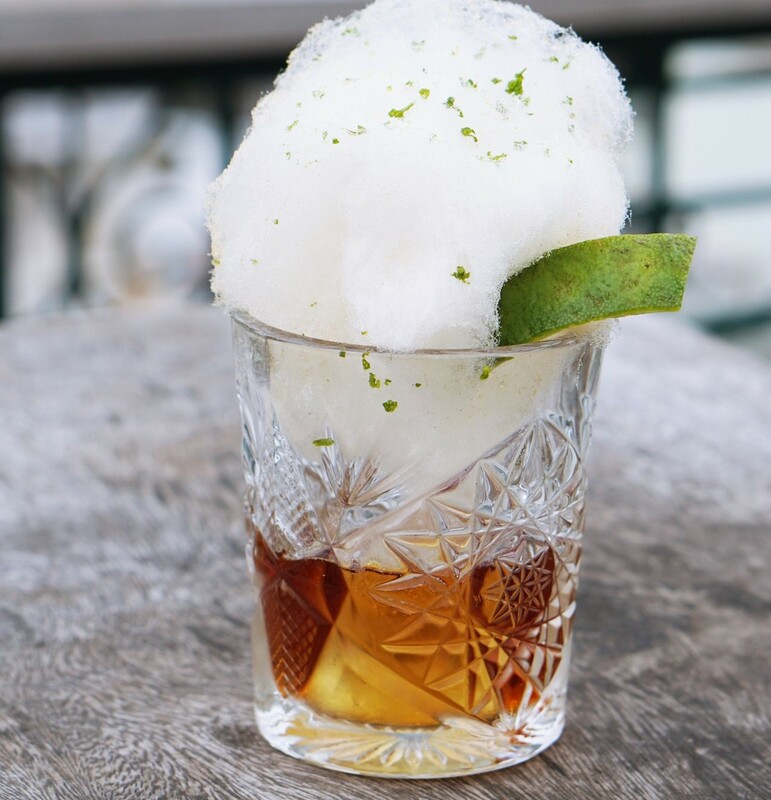 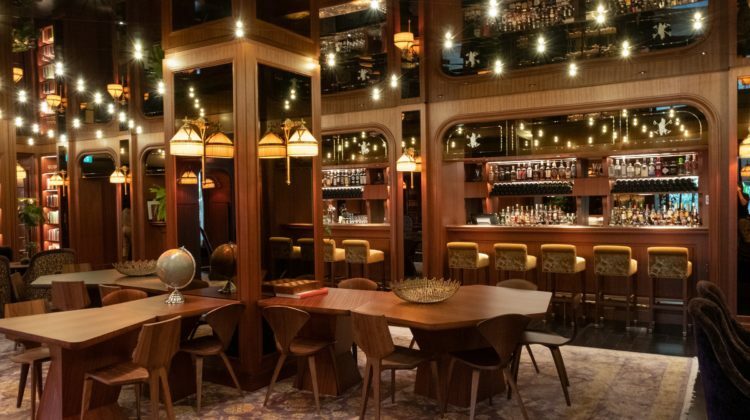 Boasting strong booze credentials, The Flagship was created by the team behind established cocktail bar standouts Jigger & Pony and Sugarhall, and the sibling Humpback seafood restaurant. 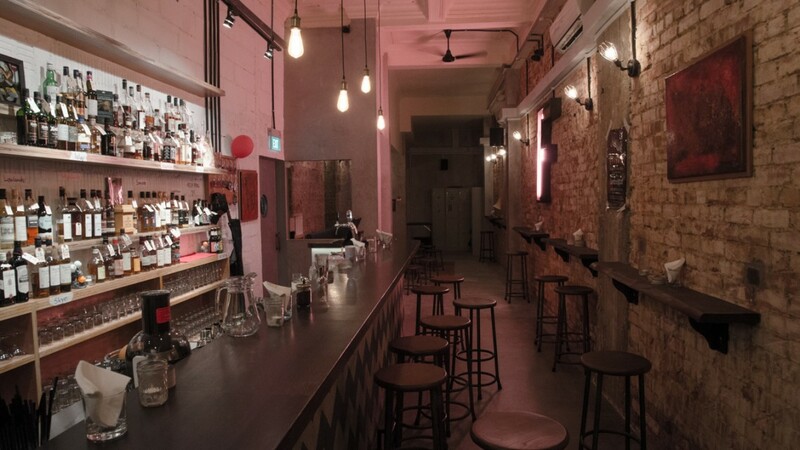 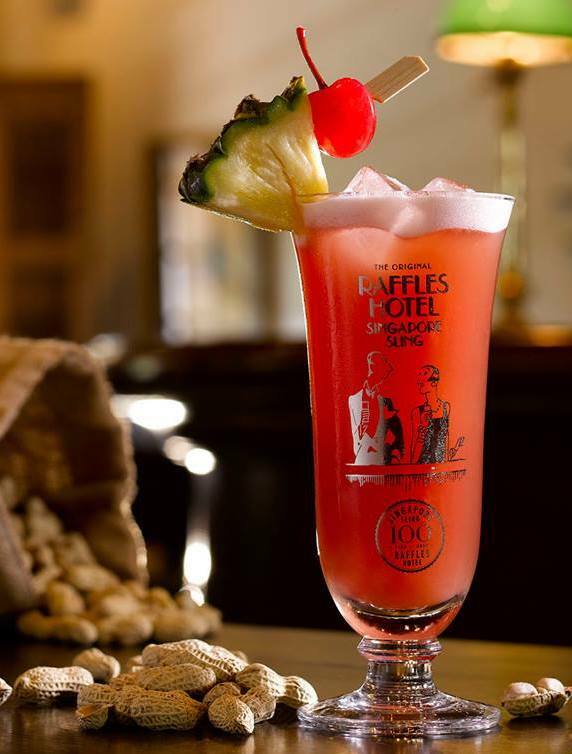 Comfortable and relaxed – The Flagship offers an agreeable alternative for the enjoyment of whiskies and selected whisky-based cocktails – conveniently located in the fashionable Bukit Pasoh neighbourhood in Singapore’s historic Chinatown district. 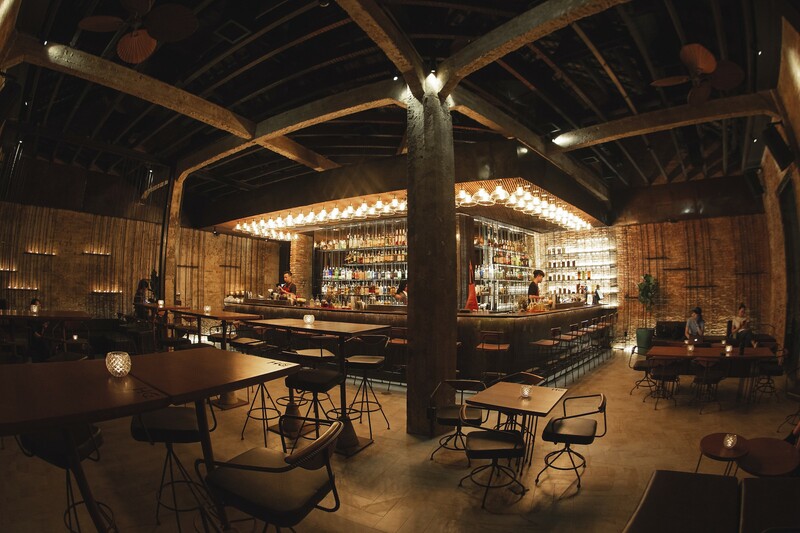 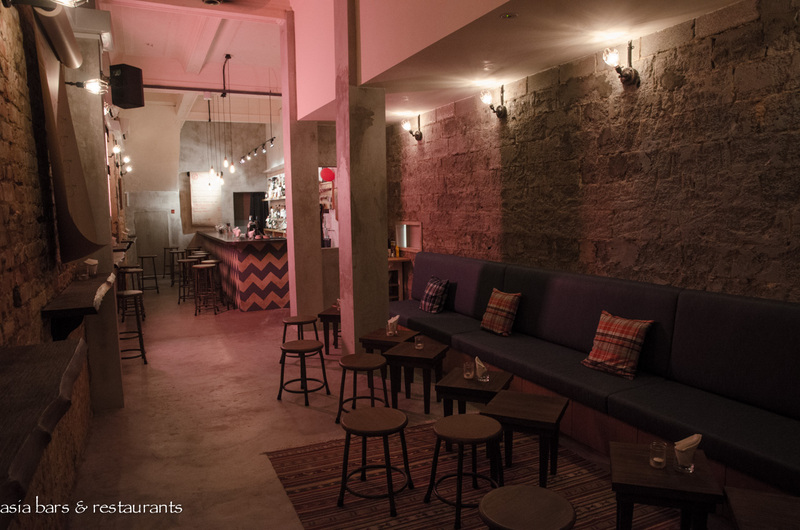 Decor Set within a long narrow space, the raw brickwork walls, rustic timber benches and simple furnishings fastidiously channel the dive bar aesthetic. 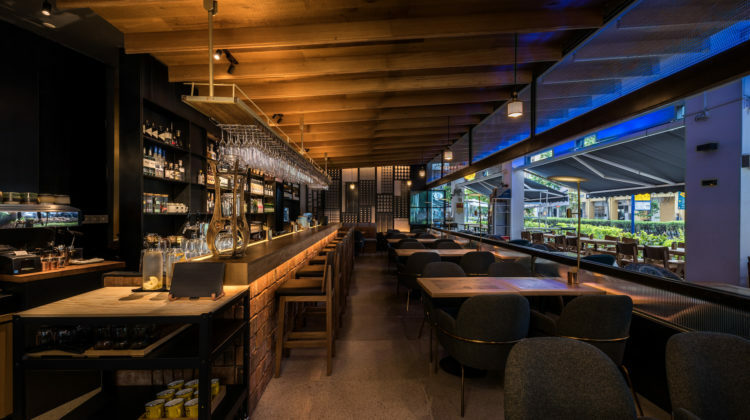 Drinkers can take a seat on the stools facing the long timber bar, stand at wall-mounted benches, or chill-out at the rear section. 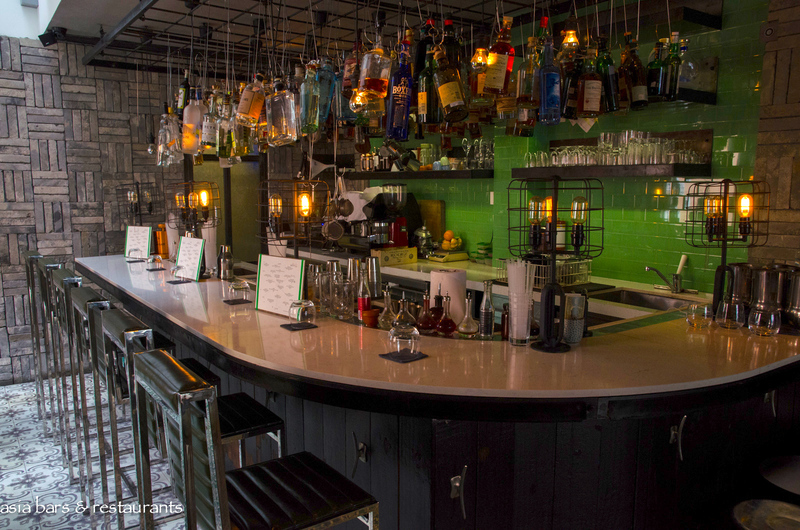 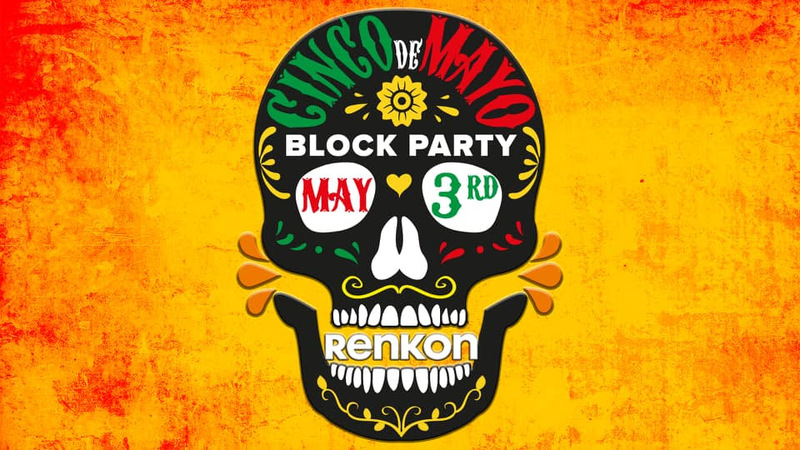 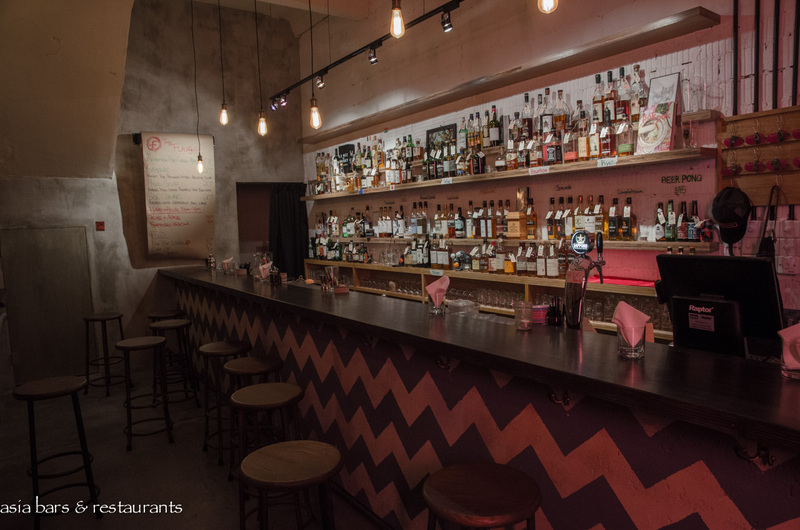 The bar accommodates around 40 drinkers, with seating for 25 and with standing room for 15 guests. 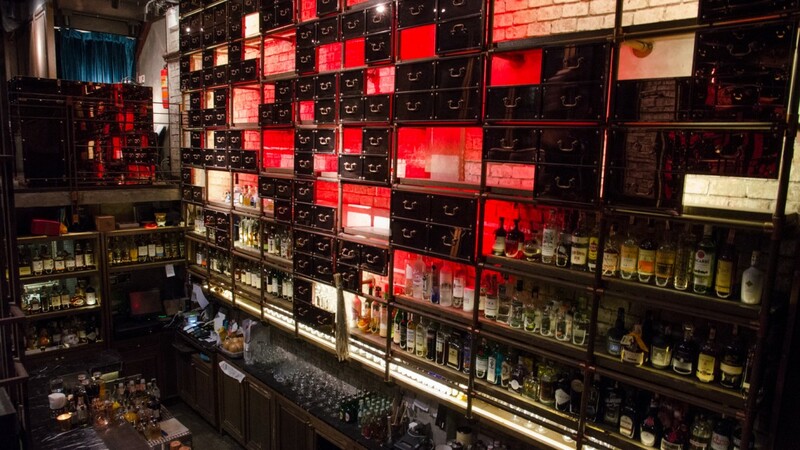 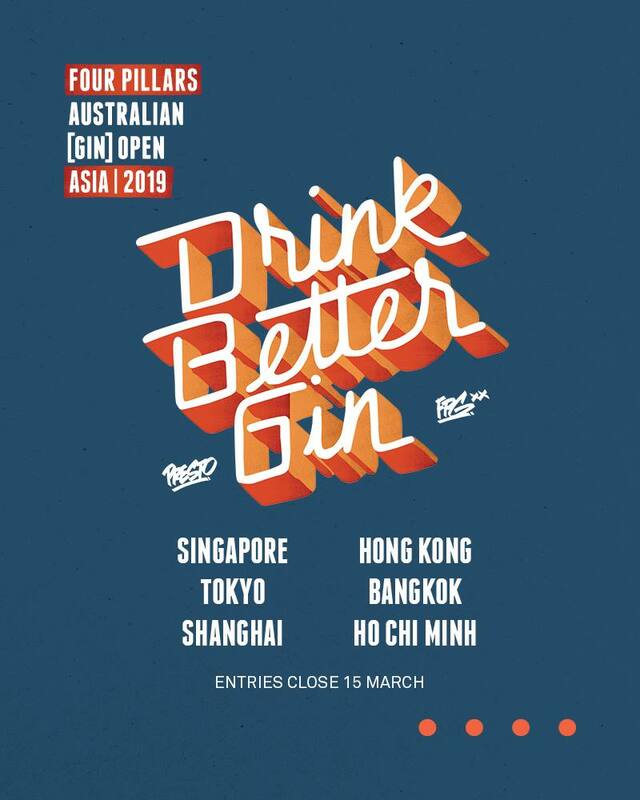 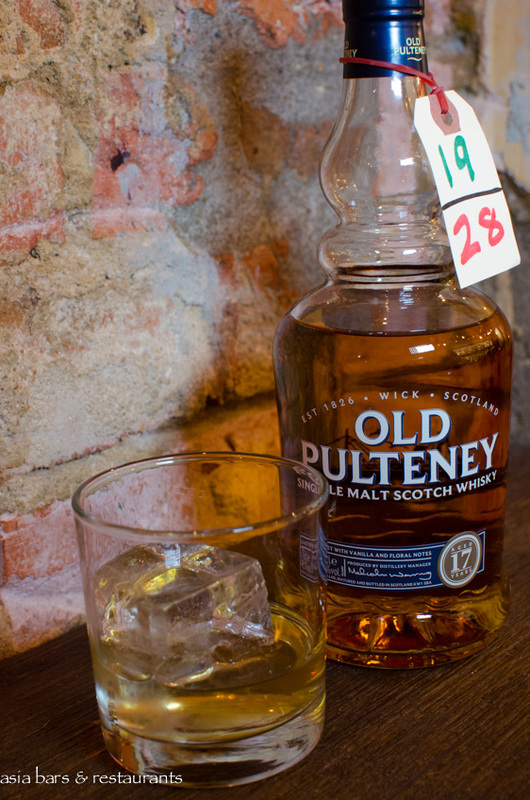 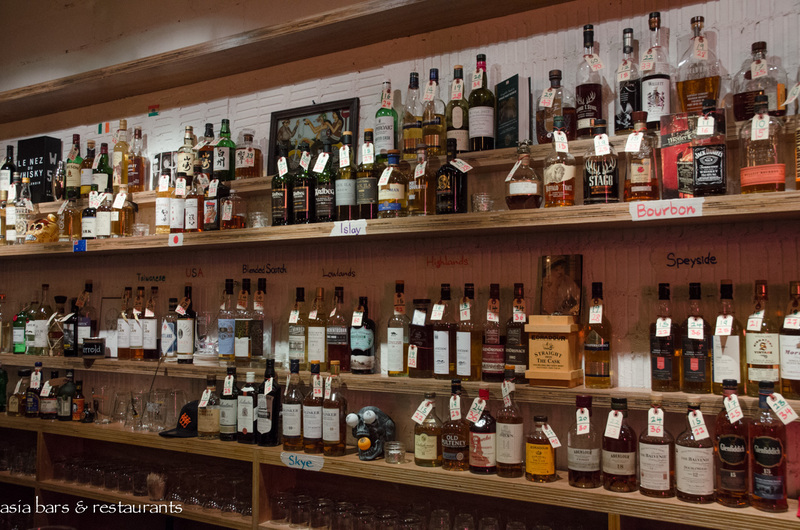 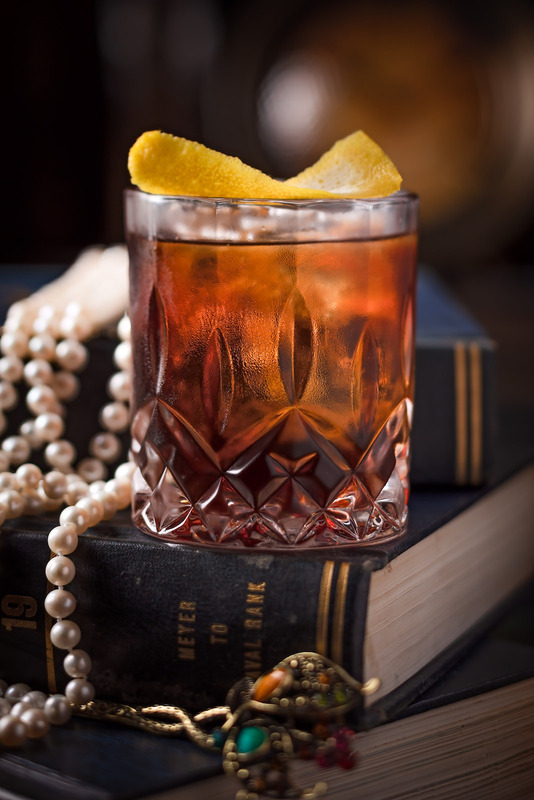 Drinks The thoughtfully curated whisky selection includes over 100 labels sourced from an eclectic global assemblage of distillers, simply arrayed by region on several long shelves behind the bar. 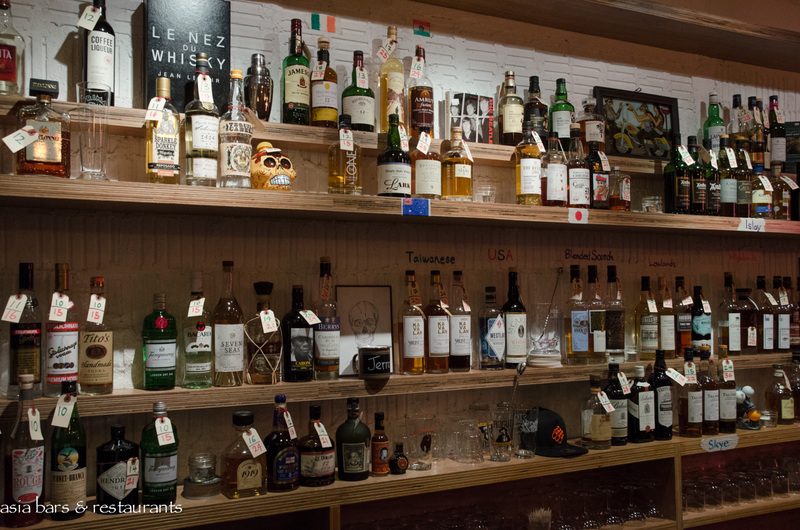 Styles represented range from American bourbons and rye whiskeys, to Japanese and Scottish blends and aged single malts. 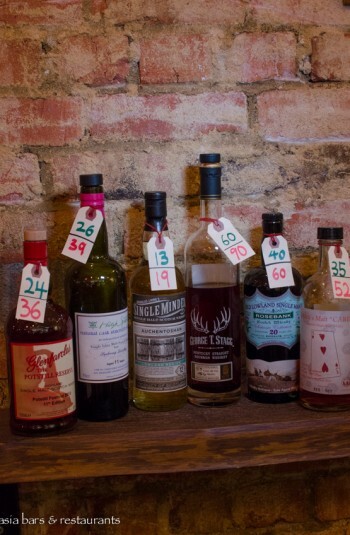 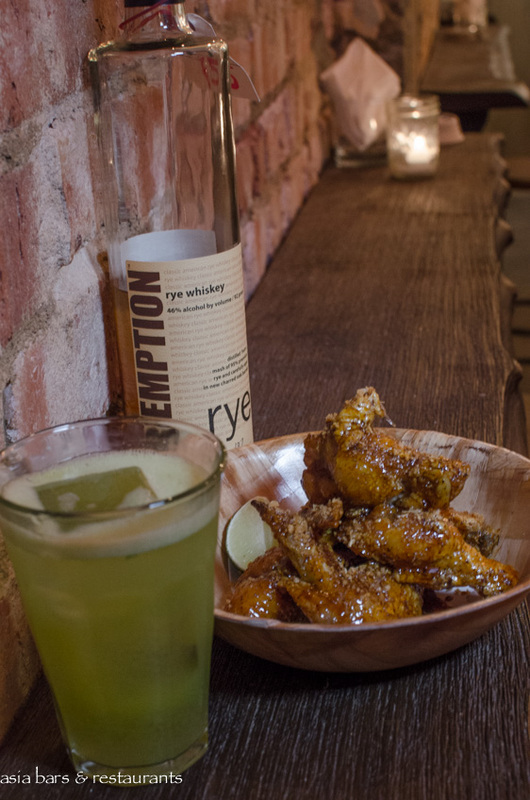 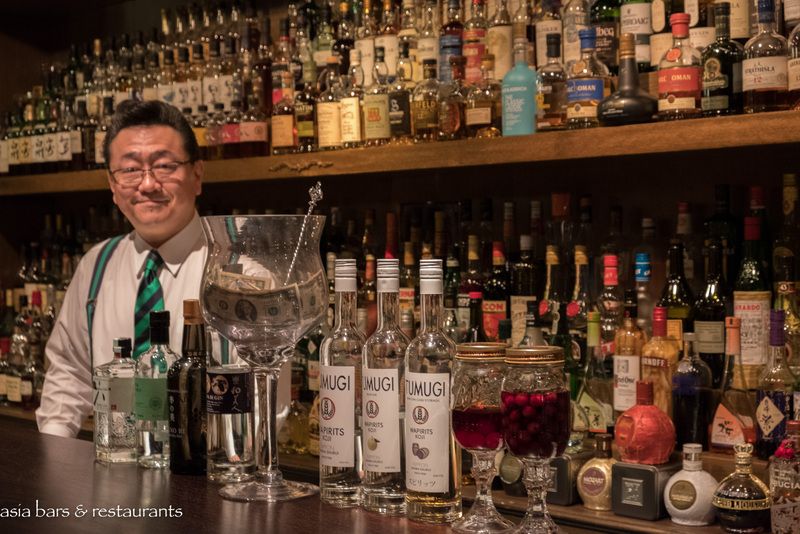 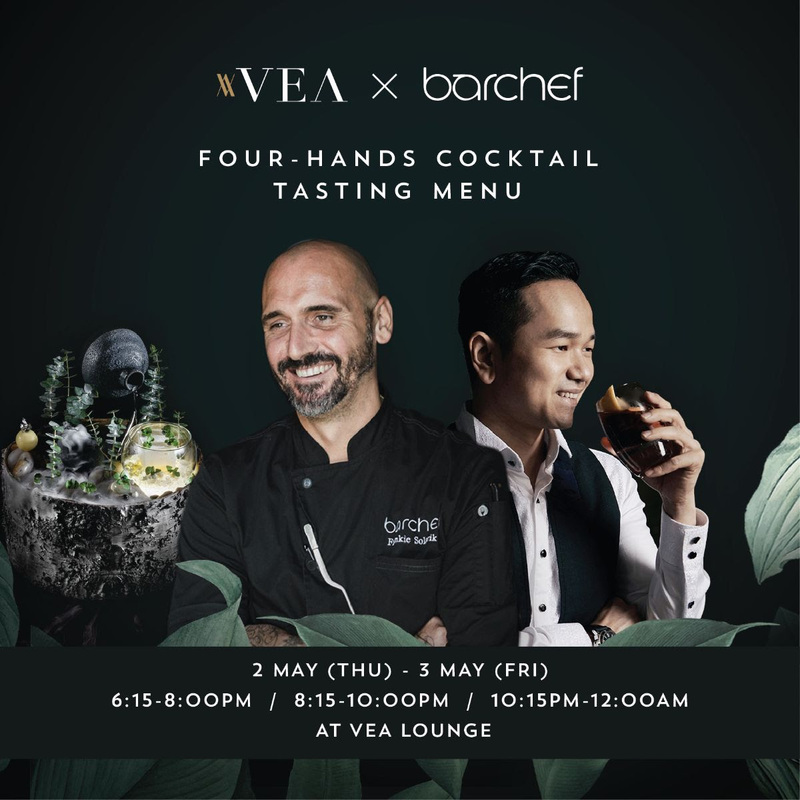 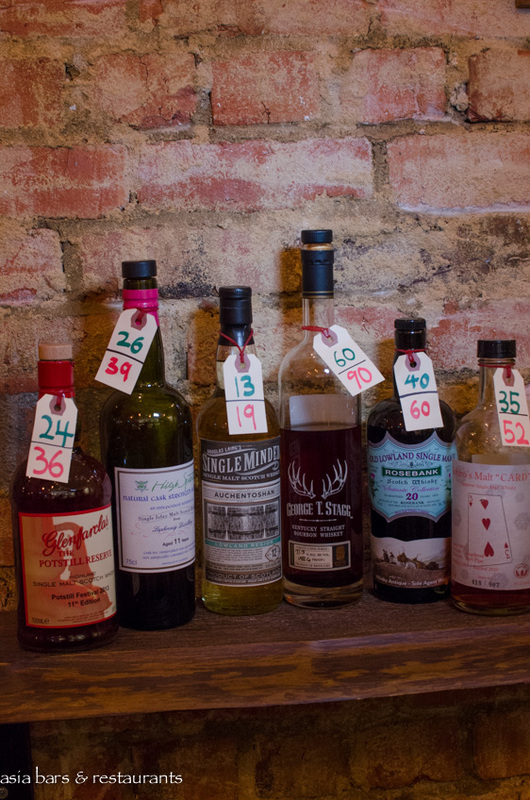 Approachable prices are clearly indicated with bottles individually labelled with prices for 30ml and 45ml shots, while daily bartenders’ selections of whisky cocktails are hand-written onto wall-mounted rolls of kraft paper. 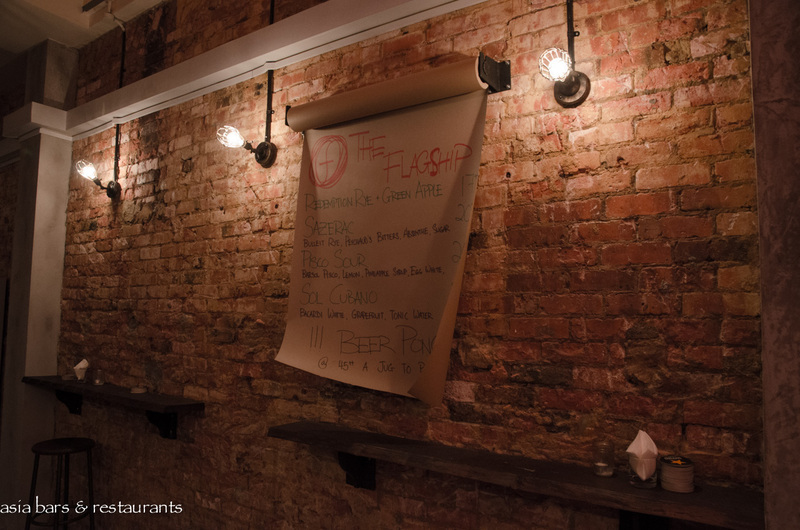 The Flagship opens Monday to Saturday evenings from 5 pm – no reservations taken.